The reviewer borrowed a copy of the book from her local, public library. Louise and I started this blog in the spring of 2011 which means we missed reviewing some stellar nonfiction that was published before 2011. 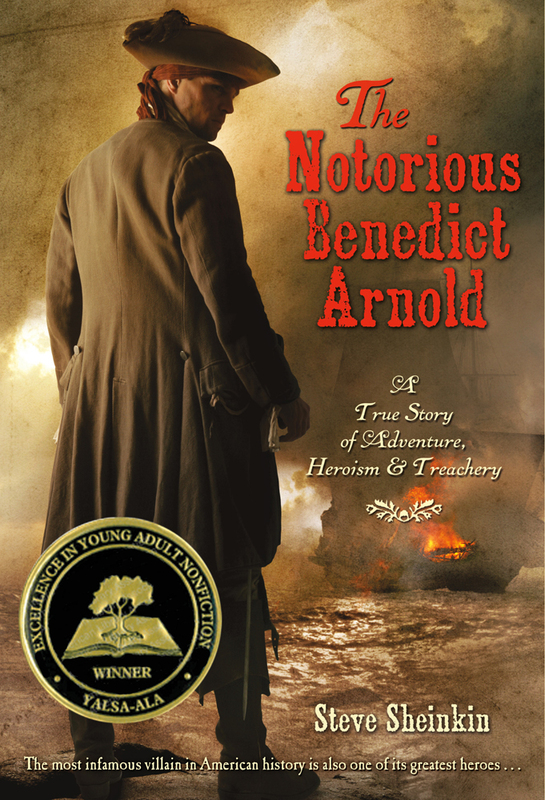 That includes The Notorious Benedict Arnold, winner of the YALSA Award for Nonfiction for Young Adults. After reading Bomb and hearing Steve Sheinkin speak at the American Library Association Annual Conference, I'm quite impressed with the research process he undertakes for his nonfiction projects. The Notorious Benedict Arnold is another example of Sheinkin's meticulous research methods. If there is a quote used in the book, you can rest assured that Sheinkin found it in a journal, letter, memoir or nonfiction text. Sheinkin has a gift for hooking readers on the first page. The book begins with British officer, John Andre, facing his execution at the gallows in 1780. The next chapter transports readers back to 1741 when Benedict Arnold was born on a cold night in Connecticut. Sheinkin traces the life of Arnold, an apprentice to an apothecary who became a successful leader of the militia during the American Revolution. The story is told in an engaging narrative that reads like fiction at times. Sheinkin pieces together facts and interesting details that paint a picture for readers. There were times while I was reading the chapters describing Arnold's harrowing mission through the Maine wilderness into Quebec that I felt like I was reading a survival novel. "The men were now boiling down their candles and eating them mixed with their last few grains of wheat. They boiled what was left of their shoes, drank the broth, and tried to chew the leather. With this for nutrition, the army paddled up the Dead River to the Height of Land, a ridge of mountains dividing Maine and Canada" (p. 71). Sheinkin describes Arnold's rise in the Continental Army, his bravery in battle as well as his hot temper and conflicts with other generals. Readers will see Arnold's flaws; he was an angry man living outside his means, he took part in shady busy deals, and he often lacked interpersonal skills. Yet, the book also shows the keen sense of battle strategy Arnold possessed, and until 1779 he was loyal to General Washington. Sheinkin thoughtfully lays out the reasons why Arnold committed treason. "He was going to be well paid, but that was just the beginning. As a British general, he planned to lead Great Britain to a quick victory, thus ending the unpopular war and reuniting Britain and America in one peaceful and glorious empire. Arnold would be hailed as a hero in both lands, earn a colossal reward from King George- perhaps knighthood or a title of nobility" (p. 250). The book succeeds in painting a portrait of a complex and flawed man during a tumultuous time in our country's history. If you know a middle school or high school student who loves history, this is the book to put in his or her hands. 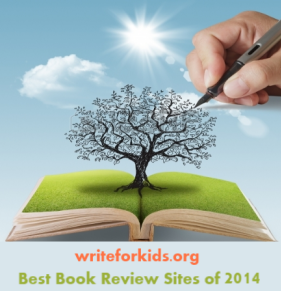 Pair The Notorious Benedict Arnold with historical fiction novel, Sophia's War by Avi. Click here to listen to Steve Sheinkin discuss The Notorious Benedict Arnold. Great choice. I LOVE this book!